John Seiradakis is a radioastronomer and professor in the Department of Physics in the Aristotle University of Thessaloniki. After taking his first degree in Athens, he went to the Victoria University of Manchester in the UK where he completed his MSc and PhD. His main research interests are in Neutron Stars (Pulsar searches – Emission mechanisms – High frequency radio observations – High frequency polarization – Interstellar medium investigations), Flare Stars (UBV Optical Observations – Flare monitoring – Studies of the atmospheric activity of Flare Stars and RS CVn stars) and The Centre of our Galaxy (High frequency radio maps – Polarization – Modeling of radio observations). 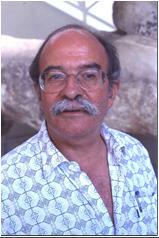 With about 90 publications to his credit, he is very active both in research, teaching and the promotion of astronomy. His publications include 44 papers in refereed journal as well as educational books and conference proceedings. In addition to chairing many committees at his university and representing Greece on numerous European and international organizations, he has served as both Secretary and President of the Hellenic Astronomical Society.